Glenglassaugh 1975 cask 2180, hand selected by Master Distiller Billy Walker, demonstrates the complex and distinctive character of this traditionally crafted Highland malt. Bottled at 43.9%, this whisky is matured over forty years and finished in the finest Massandra Madeira Puncheon. Aromas (without water) Warming black pepper and gentle hints of anise complement apricot syrup and roasted orchard fruits. Flavour Rich golden sultanas soften to crème brûlée. Mellow notes of toasted walnuts and hints of leather add great depth to the vintage finish. Types of Barrel used for Aging Finished in a Massandra Madeira barrel. 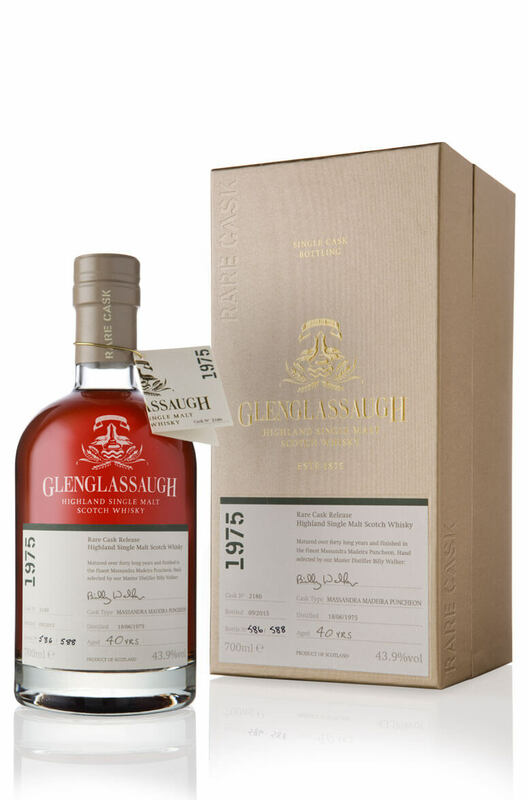 Glenglassaugh 1978 cask 1118/8, hand selected by Master Distiller Billy Walker, demonstrates th..